Gain insight into the Dutch M&A landscape and how digital transformation and technology are driving deal activity. 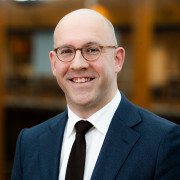 Hear from Martijn Schoonewille, Partner at Loyens & Loeff discuss why innovation is so important in the M&A process and how they are using hackathons, their Tech Academy and legal lab to develop new tools to give them the competitive edge. Merrill DatasiteOne will share how technology innovations such as artificial intelligence has the ability to revolutionise how dealmakers approach due diligence. Places are limited, register for free below. The emergence and evolution of disruptive technologies such as artificial intelligence (AI), Big Data, blockchain and smart contracts is changing the global M&A landscape and the Dutch market is not immune. These technologies have the potential to bring major benefits such as reduction of costs and improved efficiency to companies that are able to keep up. The need for digital transformation to remain competitive is reflected in the increased M&A activity to acquire new technology across a number of sectors including financial services and healthcare. This presentation will provide an overview of M&A activity in 2018 and explore the Dutch deal pipeline including sectors to watch for the year ahead. Disruptive technology and digitalisation also have the potential to revolutionise the M&A lifecycle and allow dealmakers to conduct deals faster, with greater accuracy and security whilst remaining compliant. Advancing technologies such as AI and machine learning can be utilised to manage the rapidly growing data and documents available during the M&A and due diligence process. The implementation of advanced analytics tools that offer deeper insights into potential targets and risks can also give dealmakers a competitive edge. This presentation will explore how a leading advisor is deploying technology in the M&A process. Merrill Corporation is a leading global SaaS provider for participants in the M&A lifecycle. Clients trust Merrill’s innovative applications, excellent customer service and deep subject expertise to successfully navigate the secure sharing of their most sensitive content. 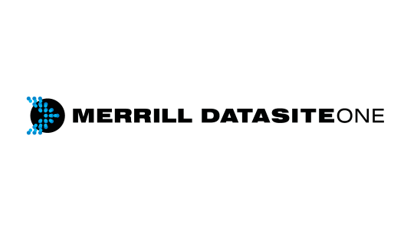 Merrill’s flagship product, DatasiteOne, helps dealmakers in over 170 countries close more deals, faster. For more information, visit www.merrillcorp.com. Jérôme Pottier joined Merrill DatasiteOne in 2008 with an established track record in IT sales. 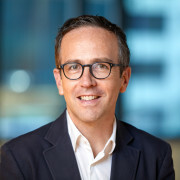 Responsible for sales coverage in France, Luxembourg and Monaco, Jérôme has assisted a wide range of investment banks, law firms and corporate clients on over 2500 virtual Dataroom projects. In 2016, Jérôme was promoted to Regional Head of Sales, for France, Benelux, Southern Europe, Israel and Northern Africa.